You read that right, folks! The Samsung Chromebook Pro, after being elusive around the time of its original release date, has broken cover. Not only do we have a listing, we have a date to go along with it. Spotted by an eagle-eyed reader, this listing has shown up seemingly out of nowhere and with no real warning. No other news source has talked about this, so we are quite certain Samsung has made no official announcement at this point. The listing on Amazon is from Samsung itself, however, so we are inclined to see this as completely legit. What becomes most interesting, here, is the date attached to the listing. Instead of a ‘coming soon’ or ‘not yet available’, the listing has a date set for a May 28th release. So, in 2 weeks, we should see the Samsung Chromebook Pro begin shipping. Though this is a full month behind schedule, it is 3 weeks before the end of Spring, so at least they are coming in ahead of the revised schedule. This release date is still a bit of a head-scratcher, as Chrome OS 59 isn’t slated until mid-June. Perhaps this is a soft launch with more full-on advertising and announcements to come nearer the next Chrome OS update. After all, Android Nougat will be crucial to Samsung’s Chromebook success both with the Plus and Pro. As it stands, we at least hope to see an improved Android experience compared to what was on offer back in January. 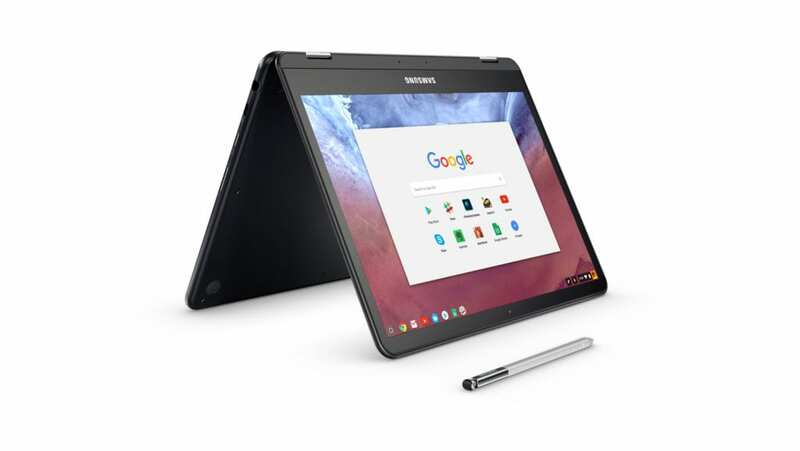 There is no doubt the Pro is much faster and capable than the Plus as a Chromebook, but the Pro left much to be desired from the Android angle. We don’t have long to wait and see, as this new release will be headed our way in just two weeks.